WHY GO: A tiny town, a big lake, an Ice-Carving Factory, and the largest hand-carved bluestone building in the world, Hawley PA is a magnet for families in the summer who recreate in one of the largest bodies of water in Pennsylvania- Lake Wallenpaupak. Come offseason, though, for greater pleasures. Hawley harbors three upscale lodgings – one a Craftsman Style beauty, the second a contemporary wonder set inside a whitewater gorge, and a third right on the lakefront. Great locally sourced dining, entertainment and shops, complete the perfect getaway. VISIT: Hawley Silk Mill Built in 1880 of hand-carved bluestone, the building was the largest employer in the area when it was an operating Silk Mill, and remains the largest bluestone building in the world. Restored by the high-profile architectural firm, Bohlin, Cywinski, Jackson (BCJ) – the group that designed Apple Stores worldwide, and specializes in notable “adaptive reuse” projects – the newly streamlined building is a destination lifestyle center with plenty of shops and amenities. 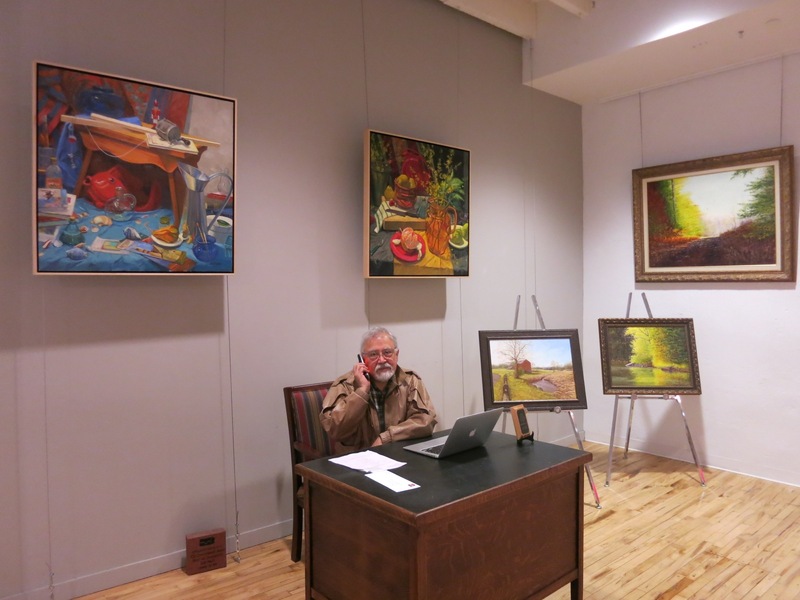 Looking Glass Gallery features the work of gallery owner and artist Juan Espino, known locally as Hawley’s own Grandma Moses. 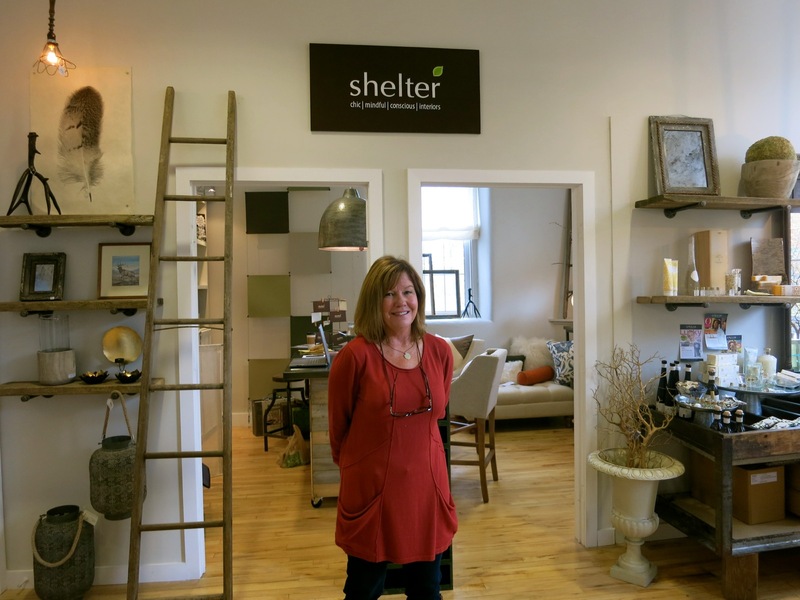 You’ll also find:Art on the Edge offering hip fashions and gifts, Shelter Interiors, owned by “staging pro” Ethel Schmitt, Sicklers Cycle Shop, Lackawanna College and Lake Region Fitness center with great Yoga and Spin Studios. 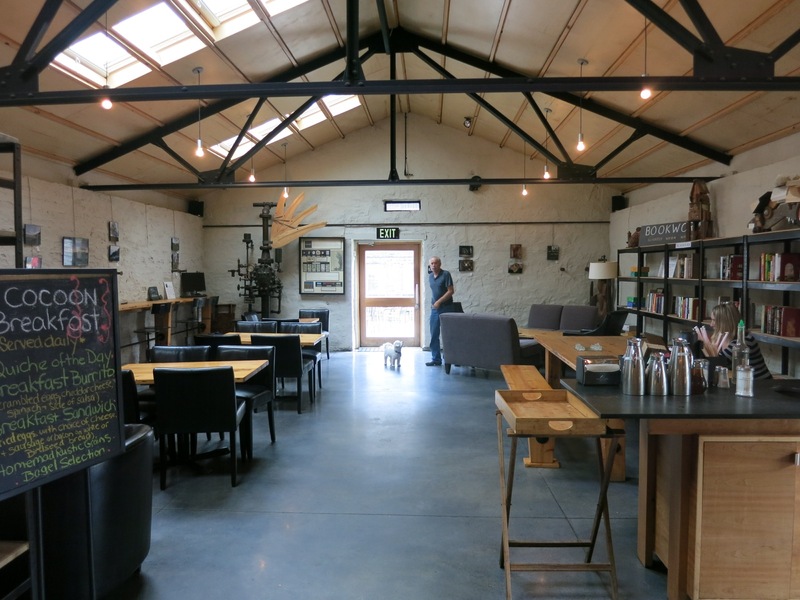 The small outbuilding where silk worms were once housed is now a funky coffee and local-organic sandwich shop called, appropriately enough, Cocoon Coffee House – one of the best gathering spots in town! 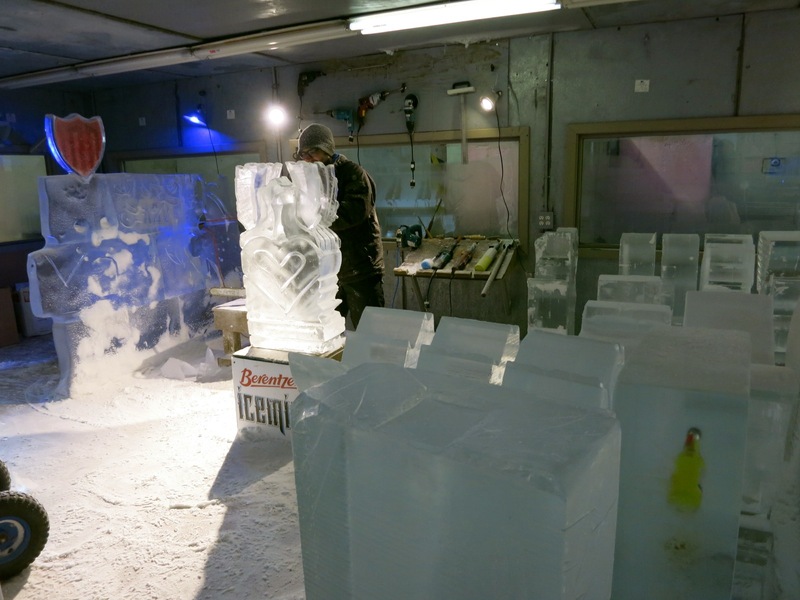 TOUR: Sculpted Ice Works Factory Tour and Ice Harvest Museum. Drive eight miles from Hawley to deep freeze, even in the summer. 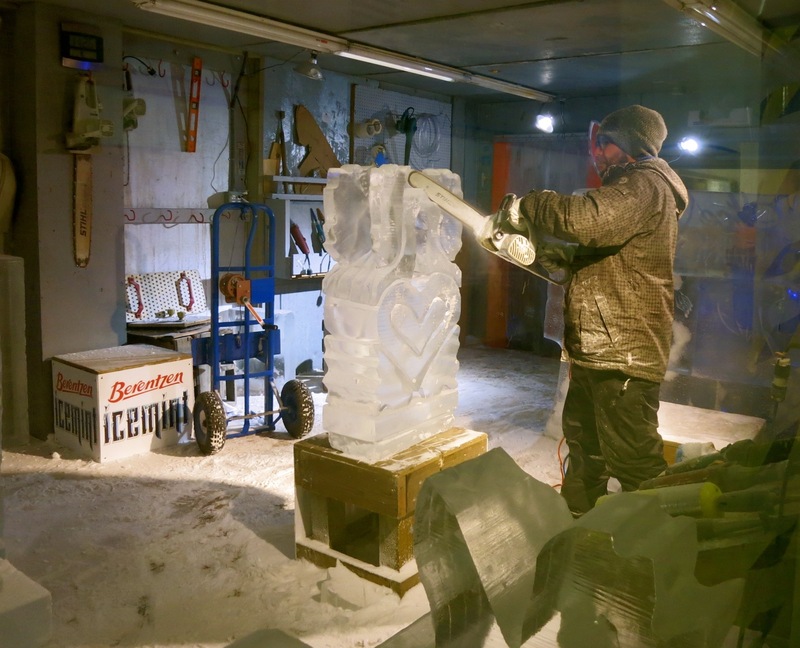 Why wait for Winter Festivals, weddings or Bar Mitzvahs to see the work of great ice-carvers? One of the quirkiest, most popular attractions near Lake Wallenpaupak, Sculpted Ice Works is actually an ongoing manufacturing facility. Owner/President Mark Crouthamel, freezes about 20,000 three hundred pound blocks of triple-filtered crystal clear ice per year, sculpting a portion of them mostly for weddings, holidays and corporate events. He “manufactures” more blocks of ice than any other ice factory in the country, and began sculpting just as a side business. As you can imagine, Crouthamel, who earned a degree in Culinary Arts from Johnson & Whales, does a lot of vodka luges, and was even asked to carve a Sherman tank for one peculiar wedding. His designs end up mostly in the New York area but have shown up as far away as Wisconsin. After poking around a modest museum that presents old black and white movies about ice-harvesting in the early 20th century, you’ll take a self-guided tour and watch three videos about this modern operation, ending up in a vast room where you can peer into a windowed freezer at carvers in full winter dress, chain-sawing away. Tours are only available on Wednesdays and Thursdays when most of the carving is done. “We’re delivering the sculptures over the weekend, so it’s boring here then,” Crouthamel says. If you care to carve your own block, Crouthamel will help you design and make it – and then deliver it – all for $750. Fall, Winter, Spring Wed/Thurs, Summer, Tues-Sat. 11-4, $7 adults, $5 kids. 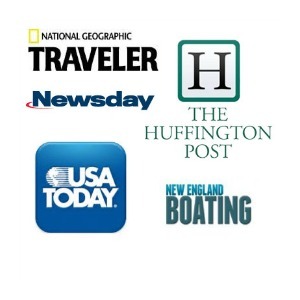 TOUR: Wallenpaupack Scenic Boat Tours leaves from Gresham’s Landing on Lake Wallenpaupack. Also a great spot to sit on a bench and view the lake or walk the two mile trail that begins at that location. $14 per person, daily in season (mid-June to Labor Day) on the hour 11-6. 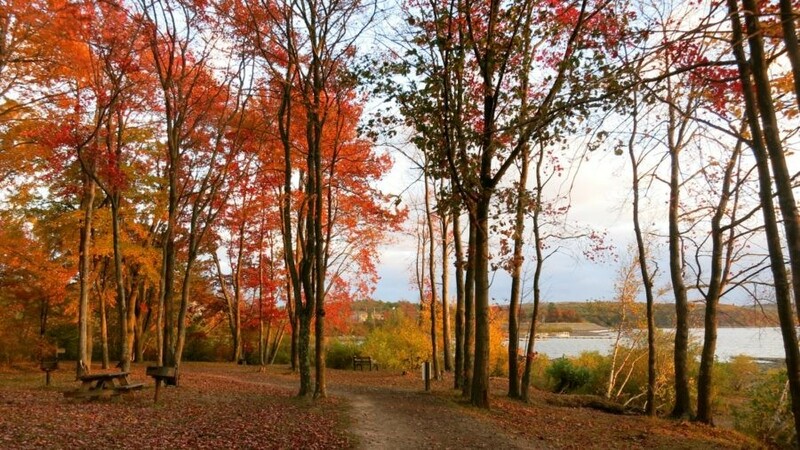 WALK/HIKE: Lake Wallenpaupack Trail. 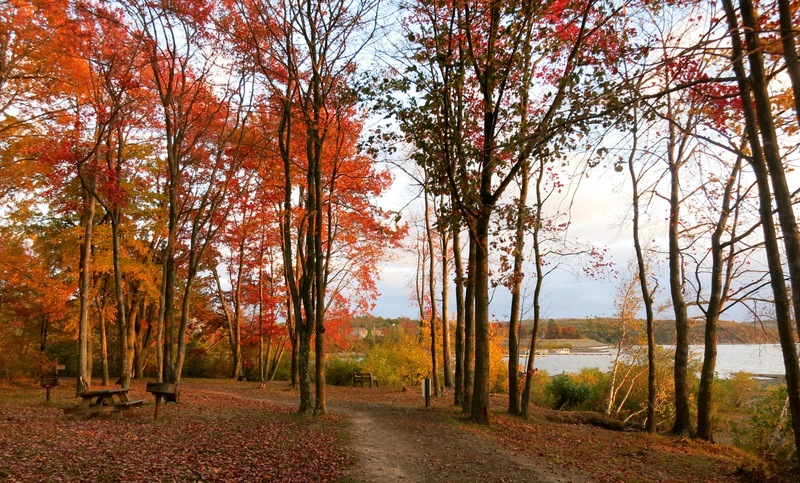 So beautiful at any time of year, but particularly stunning in the fall. EAT: Settlers Inn Restaurant. Produce and meats come from organic farmers nearby. You can’t go wrong with the succulent signature applewood local trout ($10)—smoked right on site -along with Chicken Roulade ($26) and a nice glass of merlot. Settler’s is considered one of the best (if not THE best) restaurants in town. For good reason. EAT: Glass At Ledges; an intimate, atmospheric, votive-lit cellar room where small-plate menu items and accompanying wines are more than reasonably priced. Order the signature French Onion Soup Bites ($6.50, the essence of this piquant sweet/salty soup shrunk to spoon size), and better-than-beef Turkey Club Sliders ($10). FYI- Glass is open only Wed-Sun from 4:30pm. 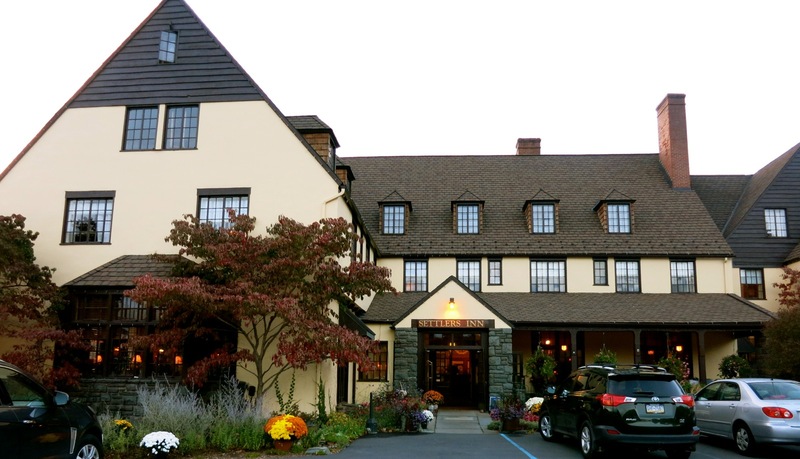 STAY: Settler’s Inn. If you are a fan of the English Arts and Crafts movement, this is your place. Common areas, rooms and the excellent in-house restaurant are all dressed in Stickney-like finery – an unusual design for a full-service boutique inn. First built in the late 1920’s with funds from townspeople as a “Community Motel,” what is now Settler’s Inn went bankrupt in 1929, then through several owners before being purchased and lovingly restored by Jeannie and Grant Genzlinger in 1980. (Thirty very successful years later, they opened up a second Hawley property – Ledges.) Rooms and baths in tawny shades are up-to-date with flat-screen TV’s, handsome duvets and dreamy high-count linens. Some have gas fireplaces. The Settler’s Inn Restaurant is the finest place to eat in Hawley – a destination in its own right and considered the best in town. Room rates include a hot, made-to-order breakfast. 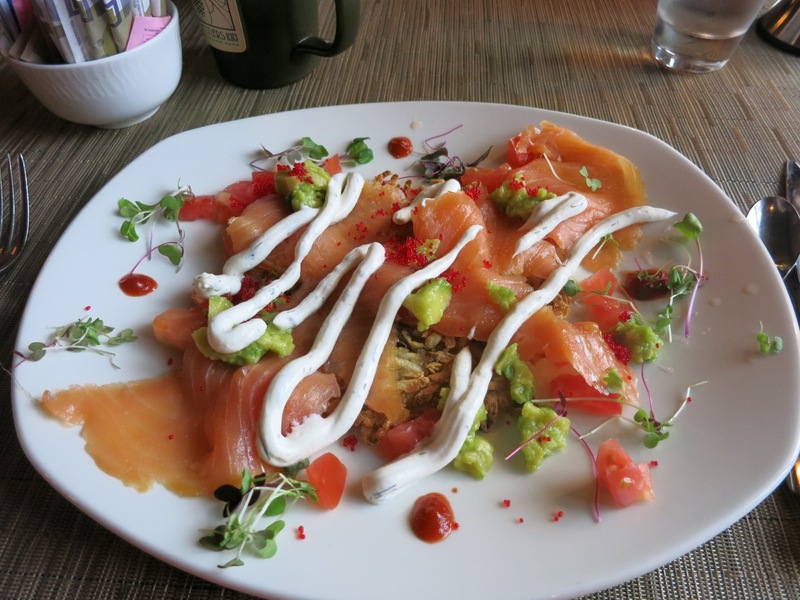 I am still dreaming about the Smoked Salmon on Potato Gallet – a colorful amalgam of orange lox, white cream cheese, crispy potatoes and red caviar. Rooms from $160-$300 per night include gourmet breakfast. STAY: Ledges. New guests gasp audibly when they first see the tumbling waterfall through the lobby’s picture windows. 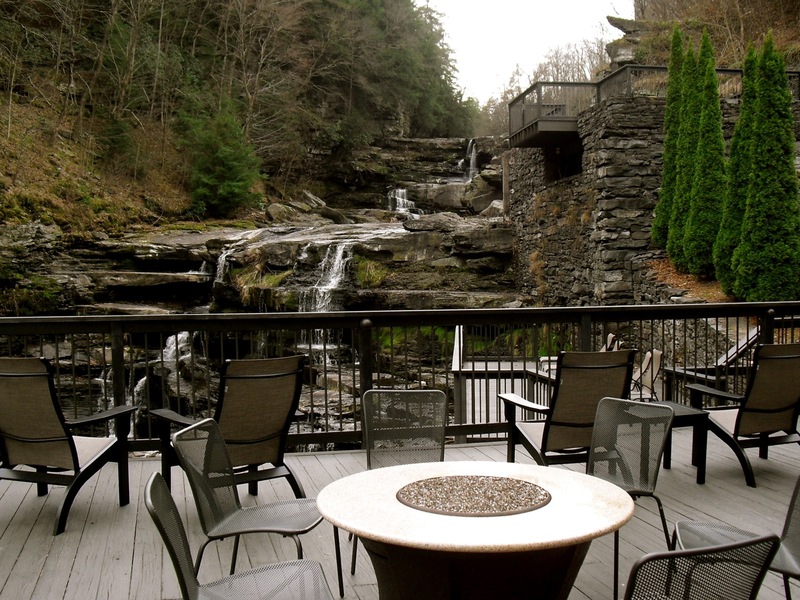 Many chose not to leave the premises, preferring to take a book and glass of wine to one of several tiered decks overlooking the flowing water to indulge, peacefully, in its splendor. This glass-cutting factory was gutted and interior redesigned by Bohlin, Cywinski, Jackson (BCJ), and is now one of the most gorgeously set hotel I’ve ever seen. At night, the whisper of water spilling over rocks lulls you to sleep. Rooms are comfy-contemporary; pale grey walls punched up by vibrantly colored local art, plump white duvets accented with soft-colored quilts, and sparking bathrooms with grey ceramic floor, subway tile, glass showers and molded green glass sinks. Each room, from fingertip-to-fingertip-wide small to expansive double-decker, serves as a mini art gallery for local artists; all paintings are for sale. Rooms and suites from $110 – $375 per night, include 32” flat screen TV, free wi-fi, free parking, pastries and coffee in the morning. 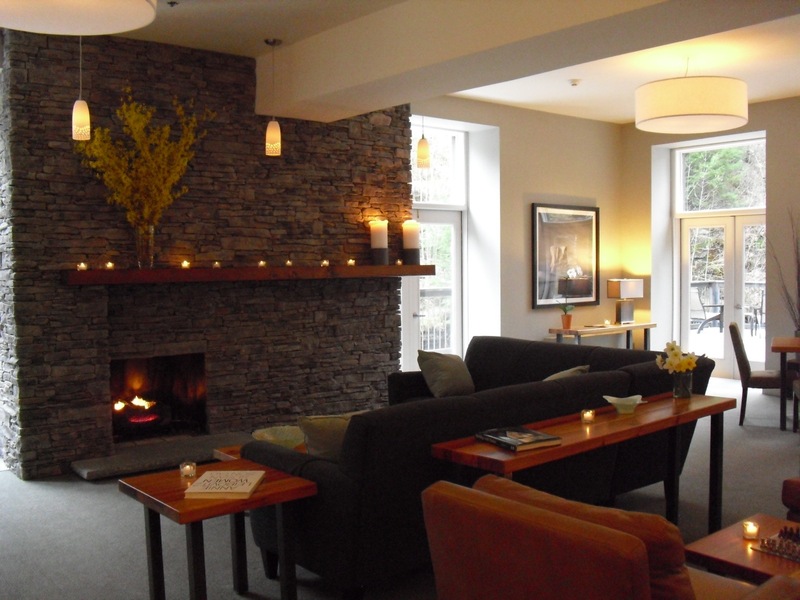 STAY: Silver Birches Resort. 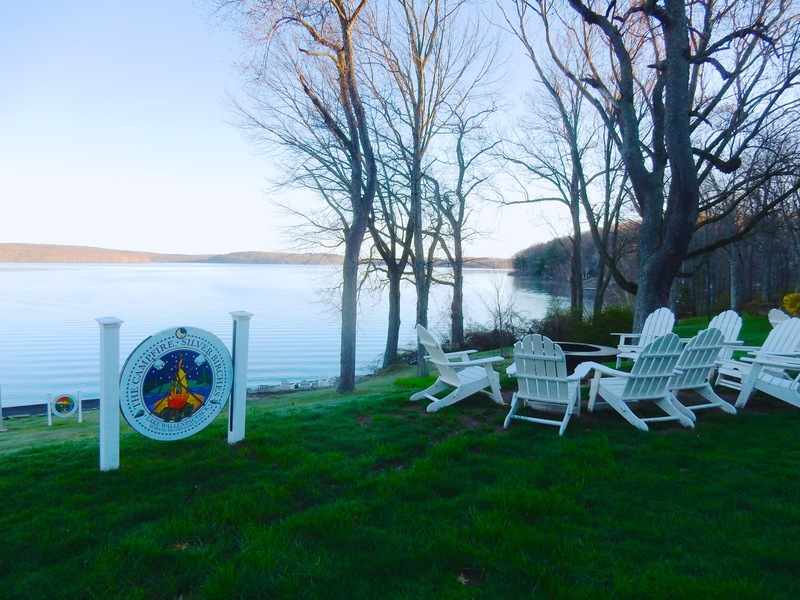 Right on Lake Wallenpaupack, this old family cottage resort has been rejuvenated as a trendy, cool, Maven Favorite. See the complete write up HERE.